If you're looking for fast internet in your area, then look no further. Exede Satellite provides high speeds at low prices, with plans in your area that can fit your family's budget. Getting started with Exede is just as easy as signing up-- you could get online as quickly as a few days, and save more on your bill every month by making the switch. When cable companies can't provide the right service and DSL and dial-up just aren't fast enough, Exede's high speed network is there for you. Get internet where you live, at speeds you will love. If you're sick of dealing with rising costs every month for your internet, we hear you. 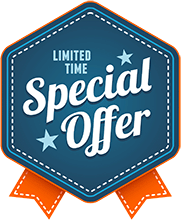 Exede's3 year price lock guarantee means that you can get high speed satellite connections, services like ExedeVoice and DirecTV, and data allowances that fit, all with a 3 year price lock that won't shock you with surprise fees and price hikes. Get dependable local internet, and dependable pricing, with flexible options to buy more data without spending a lot more money. Contact us today and find out why customers getting started end up loving Exede's satellite services today. A hundred times faster than dial-up, and up to ten times faster than DSL connections, Exede's high speed internet network provides customers in rural areas and suburbs with far faster speeds than the competition, and at extremely competitive pricing. Save more every month, and get some of the fastest speeds around with plans in your area with the right amount of data allowance for your needs. Exede high speed satellite internet delivers. Exede Internet: Satellite Internet, Reinvented. Exede is unlike any other satellite internet service you have ever experienced. The technology we use both on the ground and in the earth’s orbit is what makes this particular satellite internet service so fast and reliable. We encourage those who are looking for a quick and dependable connection to try our service, because it is so different from all of the others. With connection speeds that go up to 12Mbps, Exede is definitely one of the best satellite internet services in the entire world, especially when compared to DSL and cable. The fact is that our satellites are responsible for Exede’s outstanding reputation as one of the best internet service providers on the planet, making it one of the best choices for millions of people in all different parts of the world. Even many people who live in rural areas will find that they can still take advantage of the lightning fast internet that Exede has to offer. Those who live far outside the city will find that their options when it comes to internet service providers can be very limited, but this company specializes in providing people who live in these areas with a better option. A vast majority of people who pay for Exede satellite internet are more than pleased with the speed and reliability of the connection they get, which is why we have so many satisfied paying customers. The process of setting up an internet connection with Exede is very quick and straightforward, so you can get started with browsing the web right away. In recent years satellite technology has grown by leaps and bounds, and we have taken full advantage of these technological developments. Exede’s installation/setup process is done by experienced professionals, guaranteeing that everything will go as smoothly as possible. There are many different things that separate Exede from all of the other internet service providers around the world, including the fact that we employ only the best professionals and offer a faster more reliable connection for our customers. Once you have experienced the sheer speed and fluidity of the internet we have to offer, you will never go back to another provider again. Allow us to show you just how powerful and fast our internet is by choosing a plan that will fit your needs. Exede satellite internet is available in many different areas, both urban and rural, providing everyone with the same access to internet that is amazingly fast. Those who are used to a cable or DSL connection will find that they are missing out on quite a lot. Exede is a leading innovator in satellite internet services, providing millions of people with a better faster way to check their email, play video games online, and a number of other things. You can put in your zip code on the Exede website to find out if you are eligible for this satellite internet service, and if so there are a number of different plans to choose from.